Need some calm in the midst of the hectic Christmas rush? Come for a service of reflections on the Christmas season through readings and music (in a jazz mode). Music by the Paul Fehderau, Linden Gossen, Brad Moggach, Greg Stroh, and Tom Cummings. Come join us for two lovely evenings of classical music. Six different ensemble groups will play a selection of pieces, three on Sunday and three on Monday. Selections include pieces by Beethoven, D'Indy, Schumann, Mozzart, Glinka, and Poulenc. We even have a brass trio this term. Join us for a delightful afternoon of jazz classics, directed by Michael Wood and performed by the UW Jazz Ensemble. Reception to follow in the downstairs atrium. Join us in exploring music of inspiration and peace, a collection of traditional and not-so-traditional choral works with guest vocalists and musicians sharing some of their most beloved music with us. Seasonal selections include excerpts from world-famous works including Hodie by Ralph Vaughan Williams and A Ceremony of Carols by Benjamin Britten. 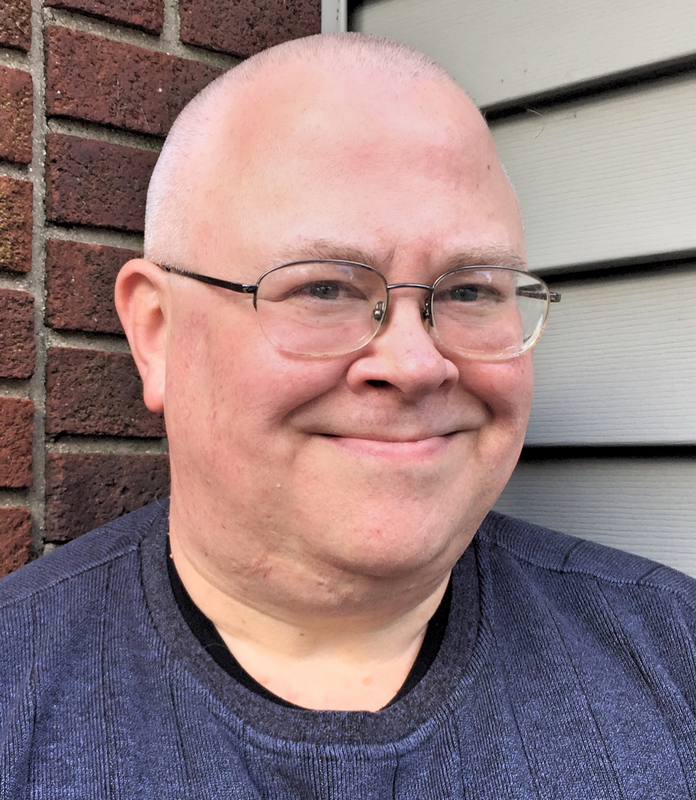 These will be contrasted with modern works including sections of The Requiem For Peace by Larry Nickel and Snow Angel by Sarah Quartel, and high-energy works such as Celtic Mouth Music and others. This is a "must hear" event for anyone interested in "World Music". This percussion ensemble will perform a selection of very intricate pieces from the Island of Bali, Indonesia. Directed by Dr. Maisie Sum, with Artist-in-Residence I Dewa Made Suparta. All ages welcome. This concert is also an International Education Week Event. Pärt's rarely performed composition frames the Gospel of John from the New Testament in a meditative, almost hypnotic style. It was inspired by medieval music and the minimalism for which he is famous. This concert is part of a celebration fo the ​80th birthday of Arvo Pärt, so well loved and admired by listeners worldwide. 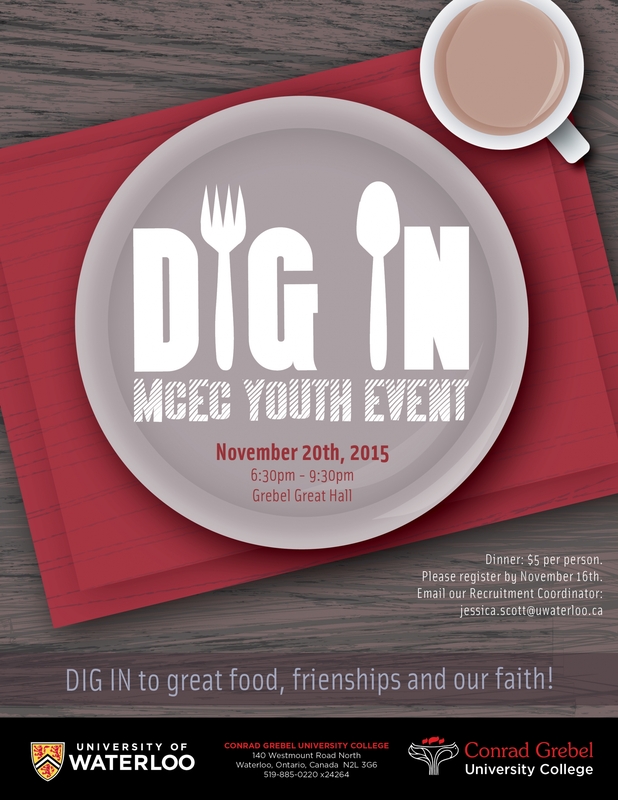 We want you to “dig in” to great food, friends and your faith! Join us at Conrad Grebel as we eat together, engage in activities and deepen our faith through small group studies. For more information and to register your youth group, contact Jessica Scott our Recruitment Coordinator. 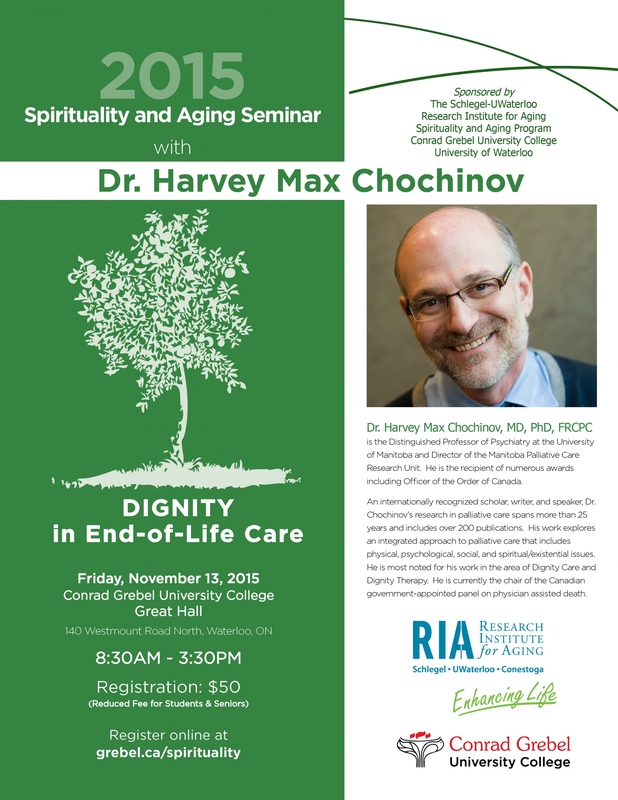 Dr. Harvey Max Chochino will be speaking. All are welcome to join an evening of prayer and hope as we reflect on writings from various traditions. Canadian soprano Leslie Fagan is a regular at Carnegie Hall, and well known to local audiences. She and pianist Lorin Shalanko will be performing together. Come and see what Grebel and University of Waterloo have to offer! This open house is for students looking to attend uWaterloo in Fall 2016 or beyond! Between 10am and 4pm, you'll have the opportunity to attend information sessions about your specific faculty or program, co-operative education, or financing your education. You will meet professors, staff, and students who can answer your questions about areas of study and student life. While you're here, take a walking tour of campus and speak with our Student Ambassadors about their personal "Waterloo experience." Haydn String Quartet Op.50 no. 6 "The Frog"
Families and friends of current Grebel students are warmly invited to a day of festivities that give you a 'taste' of what life at Grebel is all about. A piano trio comprised of Miriam Stewart-Kroeker on the cello, Marcus Scholtes on violin, and Heidi Wall on the piano will be performing the Shostakovich Trio No. 1 and the Tchaikovsky Piano Trio in A Minor. 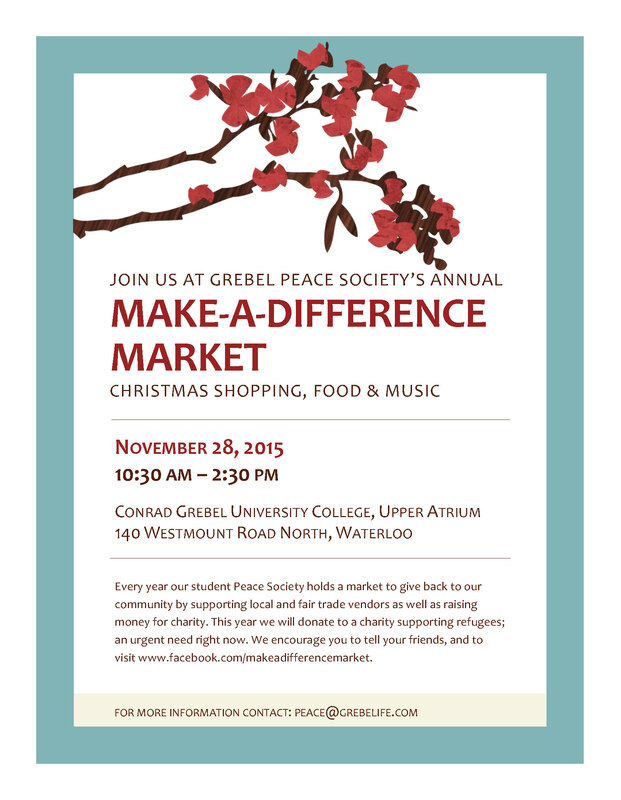 Join the MSCU Centre for Peace Advancement in celebrating their Fall 2015 Grebel Gallery exhibit. Hear from the artist, Shannon Moroney, about her journey through trauma toward hope and from Chris Cowie, Executive Director of Community Justice Initiatives, about how he sees resilience in his work at CJI. 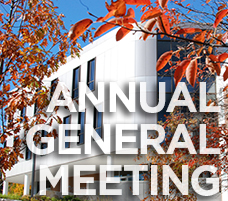 Join us for Grebel's Annual General Meeting to hear "Stories from the Grebel Table" in the Great Hall. Refreshments, music and stories will be part of this important yearly marker. The Factory Arts String Quartet will be playing with guest artist Lori Gemmell, who is a well known local performer and the Principal Harpist for the Kitchener-Waterloo Symphony.